Velvet suits have been so popular recently! I don't know if it's just one of those thing that us bloggers are currently obsessed with or whether it's one of those seriously on trend pieces that everyone will be wearing over the next couple of months; either way, I'm into it. I picked out this velvet suit from New Look which has just been my go-to shop this year, I've been so impressed with their range of clothes this year - they've seriously upped their game! I wanted to do something a little different with my suit, and rather than go for a super dressed up look I opted for my winter favourite: a roll neck, this one is from good old Primark! 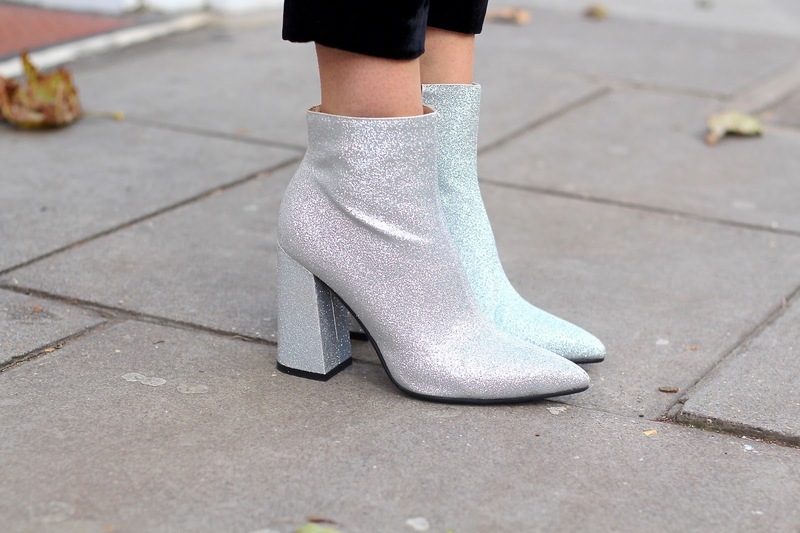 To complete the look, and make it New Year ready, I simply couldn't resist these gorgeous sparkly boots but can you blame me? I love this outfit girl! I've been looking for a suit but one that I could wear on a day to day basis and I certainly love this one and how you've style it!